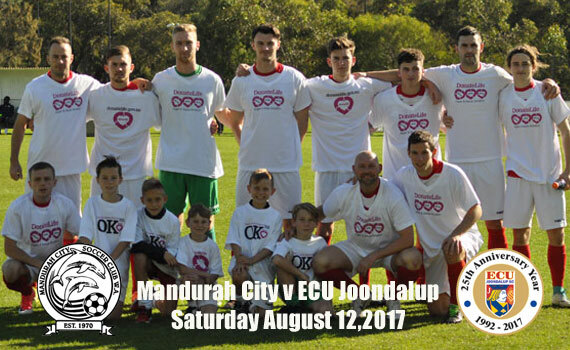 ECU Joondalup head down the Kwinana Freeway on Saturday when they take on Mandurah City at Securitas Protect Stadium. The Jacks are coming off a big win against Balcatta last week, scoring five, but they could have had a few more. Tough said Mandurah were good the last time they played them and he’s expecting them to be up for Saturday’s game. “They (Mandurah) are fighting for survival and it’s going to be tough game for us,” but we’ve prepared well,” he explained. “They had a good result, getting a draw at Floreat last week, and that will give them confidence, and I’m sure it’s going to be a battle this weekend, but we’re relishing the challenge.”. Jacks skipper Gordon Smith was outstanding last week, and although he didn’t get on the score sheet his work up top was a catalyst to most of the goals. He said they will be looking to come back home with three points but they need to be at their best against a good Mandurah side. Defender Ross Millard said the win against Balcatta was welcome and they hope to finish off the season well. “It was great to get back in the winner’s circle after last week’s big win over Balcatta. It was well over due and now were looking to back that up against a Mandurah side who are fighting to stay in the league,” he said.